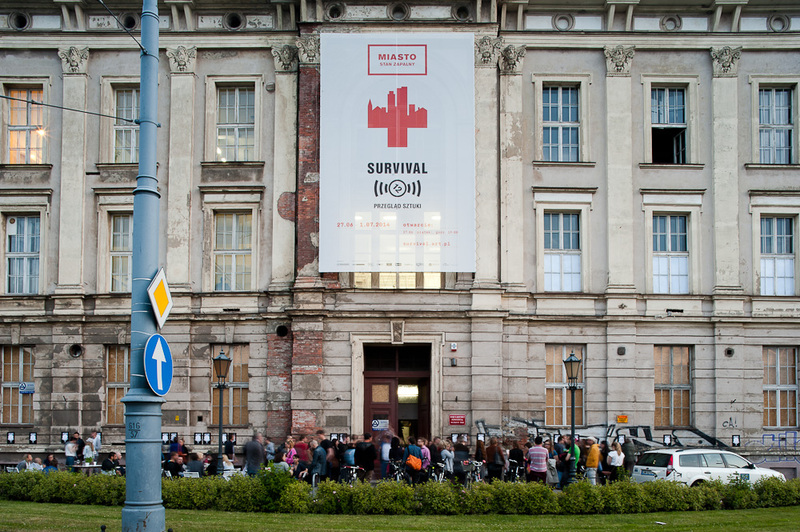 SURVIVAL Art Review is an artistic undertaking intended to maximize the confrontation with the audience in a public space outside art galleries. The organizers’ ambition is to introduce problems raised in young art into public discourse and to provoke the audience to a lively response. Artists taking part in SURVIVAL take the challenge to realize their projects in the urban jungle, in public buildings and in open spaces. The incentive to act is provided by the urban agglomeration with its multitude of meanings. The context of the situation determines the character of the intervention, the possible interpretation of one’s self, which is immersed in the contemporary world. The art created outside the places, which excuse and protect its presence, confronts the reality taken over by mass media, advertisements, economy and politics. In this confrontation art can prove its greatness or reveal its weakness and unnecessity. SURVIVAL wants to act as a go-between, wants to be the answer to the need of understanding. The audience previously excluded from the dialog with the contemporary art by its ‘unintelligibility’ with its image distorted by mass media gets the chance to revise their ideas in an environment most natural for them, outside the white cube. The audience can experience art-event, art-story and face one’s own reaction to the contemporary world, to people around them, to contemporary art. Artists should search for understanding more carefully and with more sensitivity. Acting on the frontier of public acceptance, beyond institutionalized structures, they stand higher chances of making their message creative and noticeable. The subject and the form of the message will contribute to either maintaining or breaking the contact.